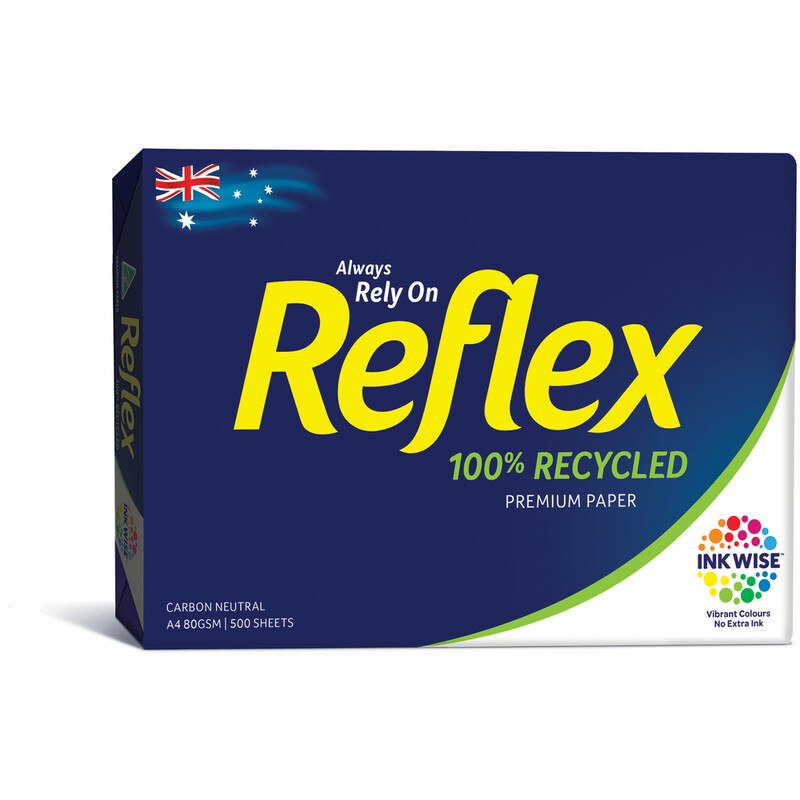 Reflex 100% Recycled White is high quality recycled paper that achieves excellent whiteness. It now also features Ink Wise delivering a new standard in its print and paper performance. Now delivers sharper, more vibrant prints with absolutely no extra ink, toner or effort. More defined blacks and vibrant colours. A smoother and white sheet. Proudly Australian made and FSC® Certified.